Regular testing of pool water is essential for effective disinfection and pH control. 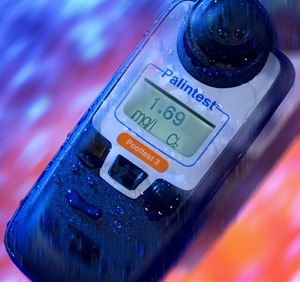 The new Palintest Pooltest 3 offers the ideal answer – a 3 parameter instrument which is quick, accurate and reliable. The meter has automatic blank recognition and zero setting and holds the last 10 readings in the instrument memory.